You’ll feel confident hitting the road with our top rated auto services. From regular maintenance to car repairs, our certified technicians are experts in domestic and foreign vehicles. Our professional team will ensure the safety of your Farmington automobile with inspections, repair services, and top quality auto parts and replacements. Let us do the work for you and your family so you can drive in style. We develop long-term relationships that add years to the life of your vehicles. We are dedicated to servicing European, Foreign and Domestic automobiles, providing quality automotive parts and service, and treating each and every customer like they are family. Build a strong foundation for your vehicle with Roggi’s auto oil changes and tune-ups. We offer the best care via routine maintenance services scheduled to your autos recommended guidelines. We protect the life of your Farmington car by checking and replacing oil and transmission fluids, fuel and air filters, spark plugs and wires, and other components. Wheel alignments and tire rotations will help prevent avoidable wear and tear. As your engine gains more mileage, transmission flushes, distributor cap replacement, and power steering flushes can restore performance. 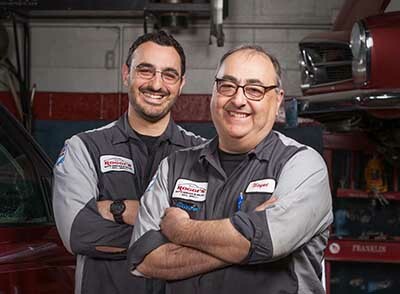 Our Farmington technicians care. Simple as that. They will work to make your driving experience the best it can be with affordable but necessary changes like wiper blades and fluid. Stay ahead of the game with our regular, scheduled auto tune-ups and fluid changes to operate at optimal speed. Great job guys. I appreciate your work. Put the brakes on your worries! Roggi’s offers full brake services to enhance the performance of your driving experience. We can troubleshoot squealing, rough stops, and grinding with our professional inspections. We evaluate the auto brake pads, shoes, hydraulic calipers, and rotors to determine the problem. Sometimes, the solution can be as simple as changing the vehicle’s brake fluid or an electronic sensor. Let us ensure the performance of your automobile with our modern shop and licensed technicians. From disc to drum brakes, we know your system and we know it well. You’ll drive away with long lasting stopping power when you use our Farmington brake repair services. Our latest diagnostic equipment can identify any auto steering problem. Suspension services include fluid flushes, vehicle shock and struts, wheel alignments, and even improving tire wear. Your car suspension repair will give you a smooth ride and increase gas mileage. If your Farmington vehicle steering is pulling to the left or right or you’re feeling every bump in the road, we can help. Roggi’s is familiar with all makes and models, front wheel drive and rear, and the newest suspension systems. Let us take the wheel and repair any car with our superior suspension services. Roggi’s specialized auto electrical repair equipment can turn a huge problem into an easy fix. 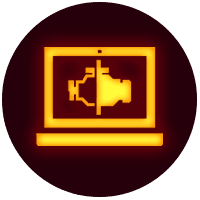 Our electrical diagnostic service is comprehensive and makes troubleshooting a check engine light, clicking starter, car battery, and dashboard indicators simple. Electrical repairs are fundamental to a vehicle’s well being, and alerts like dimming headlights and failing dashboard displays should never be ignored. From complex computer systems to the wiring of older vehicles, our electrical mechanics know every make and model and how to tweak it back to peak performance. Today’s advanced automobile electronics require advanced care. Roggi’s has the technology to turn auto electrical repairs and problems into a solution today. Transmission repairs and replacement are some of the most dreaded by our loyal customers. We are here to help. Our Farmington transmission services include diagnostic testing for the most affordable solution. It could be as simple as an electrical element or sensor that needs to be replaced. As mileage on your vehicle increases, it may be time for a car transmission flush. This revitalizing process will clear out blockages accumulated over the miles and replace your transmission fluid for a clean and efficient engine. If necessary, we can offer transmission replacements with new or rebuilt systems. At Roggi’s, we are a trusted and fully licensed service center formulated to come up with the best solution for transmission replacements and repairs. Keep your cool with Farmington car air conditioning repair and recharge services. There’s nothing quite as exasperating as getting into an overheated automobile on a hot day. AC systems are complex and delicate and require a special touch to keep them running at maximum performance. Issues like leaking refrigerants, disconnected or faulty hoses, and failing compressors are intricate units with specified needs. Our technicians have the know-how to repair your unique auto AC system. Our temperature analysis will check the vehicle’s pressure readings and all cooling components. We’ll get you comfortably back on the road with our affordable repair and air conditioning recharge services. If you’ve been searching for an expert for your Farmington foreign car , you’ve found us. Our certified technicians are available upon request to spoil your luxury ride with everything it merits. We offer high end vehicle brands like BMW, Mercedes, Audi, and Volkswagen auto repair services. Performing a wide range of amenities for European vehicles, we handle electrical, mechanical, tune-ups, regular maintenance, and much more. These imported automobiles demand precise upkeep, and they deserve it. When you use Roggi’s, you’ll quickly discover we are just as passionate as you are about luxury European car care and repairs.